Thousands of international students intending to study in New South Wales (NSW), Australia, will receive support on arrival at Sydney Airport with the opening of the International Student Airport Welcome Desk. Stuart Ayres, Australia’s Minister for Trade, Tourism and Major Events, has said that the NSW International Student Airport Welcome Desk would help to ensure international students feel welcome. “Recent surveys have highlighted that the first 24 hours is crucial to students forming their perspectives about studying and living in NSW,” Mr Ayres said. “Experience shows implementing simple gestures, like a welcome desk, encourages students to return as ambassadors for the State and supports further growth in the sector. 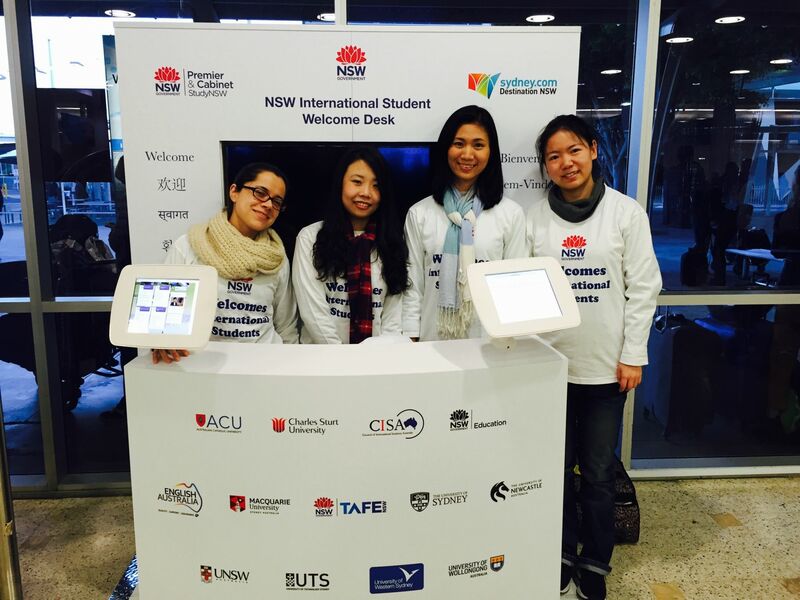 Funded by StudyNSW, Destination NSW, and key education partners including the NSW Department of Education, TAFE NSW, English Australia and all NSW universities, the Welcome Desk is also supported by the Council of International Students Australia (CISA). It will be based directly opposite Arrivals Hall A in T1 at Sydney International Airport and staffed by dedicated student volunteers. The Welcome Desk offers guides and maps together with information on iPads and LCD screens. In 2014, international students generated AUD 6.3 billion in export revenue for NSW – the State’s largest service export.